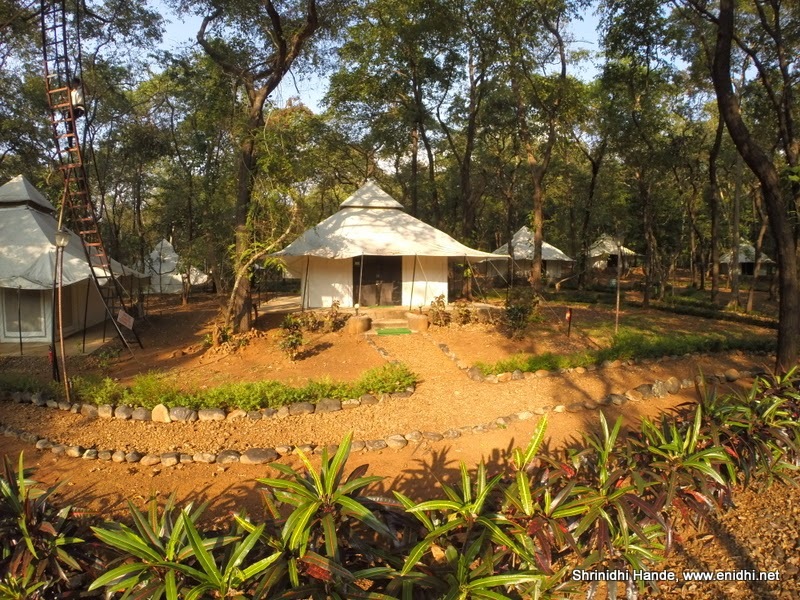 Dudhsagar Spa Resort is one of the few decent accommodation options very close to famous Doodhsagar waterfalls. I had contemplated staying here last August, but the then tripadvisor reviews had turned me off. I booked in another resort but because of interstate permit issues for my self-drive rental Thar, I had to change my plans. Recently during Tata Motors SOUL Drive, we were booked in this resort. We spent two nights here and this post is my review of the place. One of the primary complaint about the Doodhsagar Spa resort was that it is so close to highway and there’s lots of noise from trucks that carry mining outputs. Yes, it is close to highway, but I understand there’s some ban on mining, hence number of trucks on the road has greatly reduced. My cottage was not the closest to the highway and I didn’t get disturbed by traffic noise in the night. (It could also be because I was tired, even rocket launch might not have woken me up) There are a few tents which are very close to highway and because of their perforated walls, noise might infiltrate to spoil your sleep. So where possible ask for a cottage/tent far from the highway. The other complaint about the resort was food. Which I agree. There weren’t much options compared to a 2-3 star hotel buffet. For example, there was white rice with only Dal. No Sambar, No Rasam, No curd rice- these are often standard offerings in a buffet. Taste was fine. In Sevia Payasam (Kheer) there were very very few cashew nuts and dry grapes. Usually in a serving we get a few cashew/grape but here we had to scramble the entire utensil for a piece of cashew. I am also told they enforce a mandatory Rs 2000/Rs 2500 dinner on special occasions. Luckily our stay wasn’t one of those special occasions. There are hardly any other options even if you’re willing to drive 5-10kms. Unlike say a Club Mahindra resort, there is no microwave or some mini kitchen where one can probably cook noodles or other basic stuff. So guests will be at the mercy of whatever Resort has on offer and at whatever cost fixed by them. Campus is reasonably big. There are few adventure sports provisions, a small pool (3-4 feet deep) with mandatory dress code, a spa, a billiards table and few other amenities. Room service was average. On day 2 when we came back at 12.30 in the afternoon, rooms weren’t cleaned. We were told cleaning will happen in the afternoon/evening. Even at that they didn’t replace the towels. Only after calling them, fresh towels were provided. No fresh snacks/soap etc were provided on day 2. I had challenges getting right temperature in the shower- it was either boiling hot or room temperature despite keeping the knob at 50-50 position. With great difficulty I could get the warm water. Also be advised that this resort is on the other side of a toll booth, which means each time you exit resort to enter Goa, you will have to buy a toll ticket. 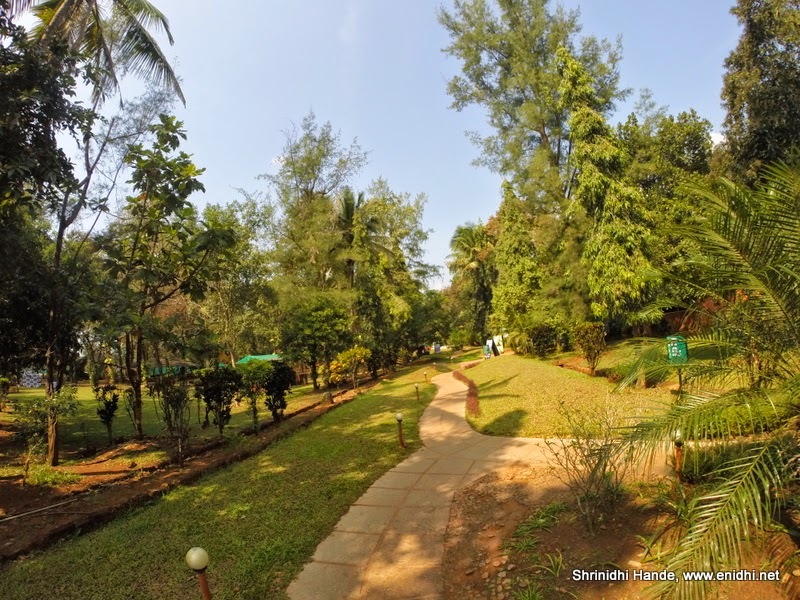 Because there’re not much alternatives to stay closer to Doodhsagar falls, this resort may be considered if you’re very particular staying closer to Karnataka Goa border/Dudhsagar falls. If not, it might be more practical to stay in Madgaon/Panjim area and drive to Doodhsagar falls. Great Shrinidhi… visited your site.. full of important information.. It helped me a lot to understand to traveler and travel pattern.. This is super you are having a good collection of pictures on your website. Pictures are creating a cattchy effect. Keep up the great work. it would be very helpful if tariff was mentioned..